In 1997 the communist government in Cuba began to allow private residents to rent spare rooms in their homes to tourists and visitors from abroad. This was a major shift in policy. Since all hotels, motels and campsites up until that point had been owned by the regime in Havana, this was one of the first forms of private enterprise allowed in the country. Staying in a casa particular is therefore a great way to experience the real Cuba and spend time with ‘ordinary’ Cuban families in a way that was impossible just two decades ago. But how do you book a casa particular in Cuba? And what exactly is a casa particular anyway? We give you the low-down of the need-to-knows and provide our top tips on how to book a casa particular in Cuba. What exactly is a casa particular? Casa particular (or casas particulares in the plural form) is simply the Spanish for ‘private house’ and is used to define homestays and privately-owned (rather than hotel) accommodation. A specifically Cuban form of accommodation for visitors to the island the casa particular policy allows those Cuban citizens who own their own homes to rent out spare rooms. It means casas particulares are almost all owned by wealthier Cubans, who can afford their own homes. Casas tend to be small establishments, offering beds for a maximum of 5-6 people. It’s therefore essential to book specific casas as early as possible, especially if visiting the island during the high season. Though it’s hard to pin down exactly what a casa particular is, the idea is best compared to that of a bed and breakfast in the home of the owner, or more rarely, holiday rentals where a whole apartment is booked. Usually rooms are booked for short stays of no more than a few days, though longer bookings can be made too. Since each casa is independently-owned, specific procedures differ from casa to casa. What types of casa particular are available? 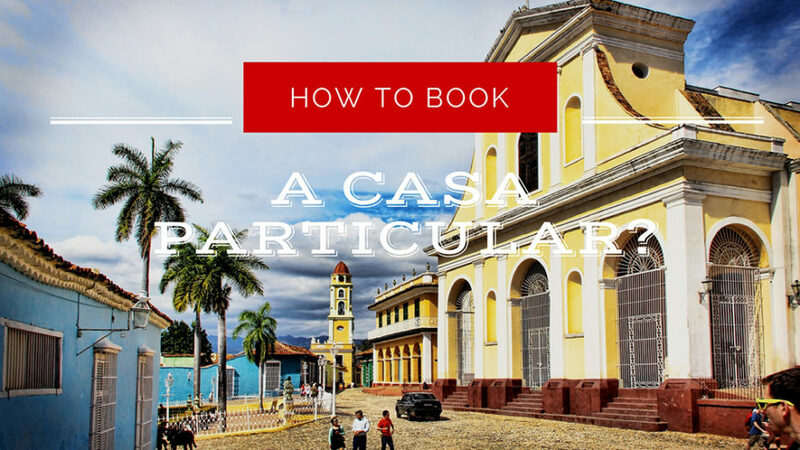 Before we go on to describe how to book a casa particular in Cuba, we must first explain what types of casa are available. Though the term was originally meant to refer to the private rental of spare rooms by Cubans, it has expanded to include whole houses and apartments, studio apartments offering a separate entrance and mini-apartments too. Whether rooms come with a private bathroom is dependent on the particular casa chosen. Likewise, some owners will offer breakfast – continental or cooked – while others may not. Budget options will be clean and include a bed, cupboard and chair, while higher-end casas can be decked out much like a hotel room with telephone, TV and mini-bar. Many casas also offer additional services and facilities at an extra cost. Home-cooked meals are often available, as are laundry services and cigar purchases. If unsure whether to participate, bear in mind these extra services can act as an important additional source of income for hard-pressed families. The majority of casas belong to associations that help advertise and take bookings, and are increasingly listed in travel guides to Cuba – though the choices listed may be limited by space. By far the easiest way to book a casa is to leave all the hassle to someone else by booking a tour. 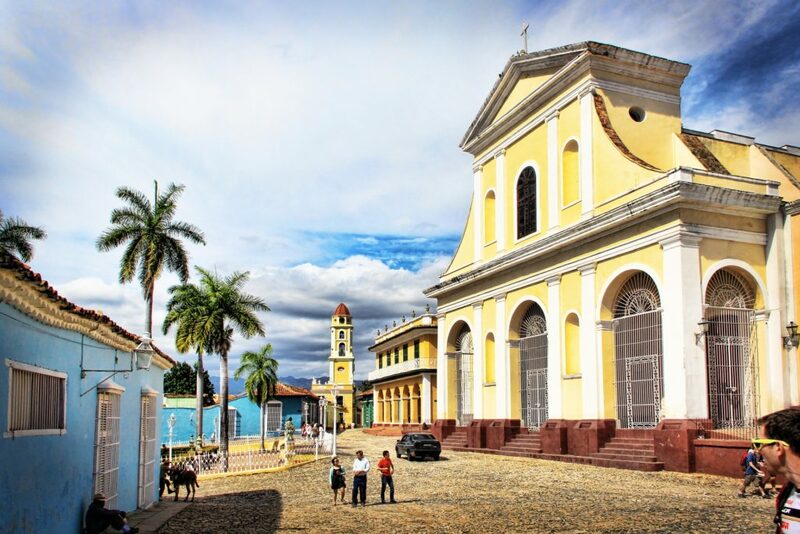 Have a tour operator that knows Cuba well, such as Locally Sourced Cuba, arrange everything for you, guaranteeing your place in the best casas the country has to offer. The more traditional way to book a casa particular is by making contact with intermediaries known as jineteros. If you fancy chancing your luck and just turning up at a casa, they can be recognised by a blue and white triangle symbol located close to their door. If they don’t have a room, they are sure to point you in the direction of someone who does! Many casas also now have a presence on the internet, either through their own websites or via comparison-style sites. Searching for ‘casa particular Cuba’ online will bring up a range of booking sites, of which Cuba Booking Room is well recommended by those who have used it. Airbnb and TripAdvisor also have a casa presence (outside of the USA), though prices tend to be higher (because of commission charged to owners) and the choice less broad. Another great new way to find a casa is the Cuba Junky app for iPhone and android devices. It allows you to contact owners directly, and has a handy offline function for when out of range of one of Cuba’s WiFi hotspots. How much will a casa particular cost? During the low season, the cost of renting a room for a night can fall to as low as US$18. The longer you intend to stay the easier it will be to negotiate down this price further. In the high season expect prices to start at around $30 per night. Though you’ve followed all our top tips for how to book a casa particular in Cuba above and reserved your favourite casa, it’s not unusual (though increasingly rare) to turn up to be told there is no bed for you. Just like airlines and hotels, casa owners have been known to ensure a fully-booked house by overbooking. If this happens, you won’t be left without accommodation, but taken to a friend’s casa. In this case, make sure you check out the room and double check the price before agreeing to your change of accommodation. The streets of Cuba can be confusing, especially if you are arriving into a new town or city after dark. Street signs are not universal, and though casas do display the blue and white signage by their door as we’ve described, these signs are not always immediately obvious. So make sure you have your casa marked in some way on a map as well as having the written address! Casas particulares are the perfect way to experience the modern Cuba of developing private enterprise and get to know the people of the country more deeply. Having read this article, you should now know how to book a casa particular in Cuba and be well on your way to doing so!